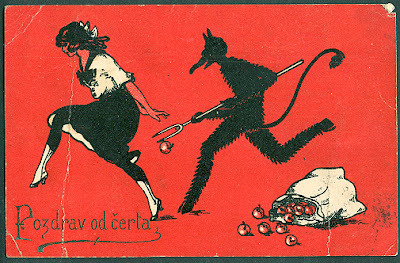 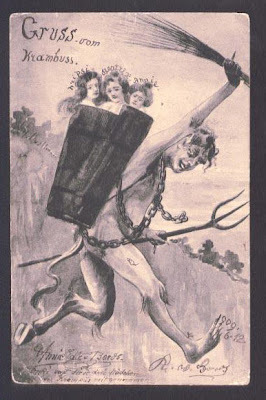 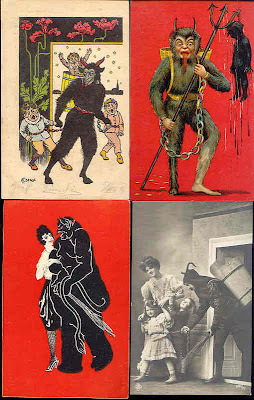 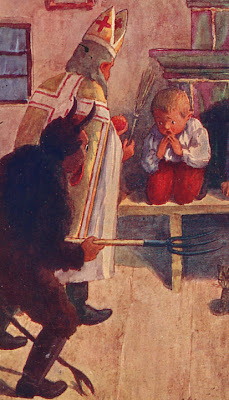 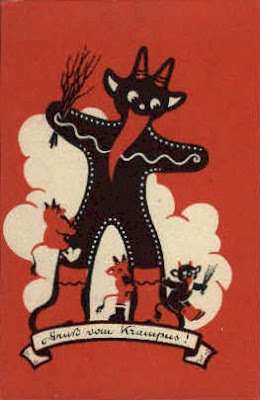 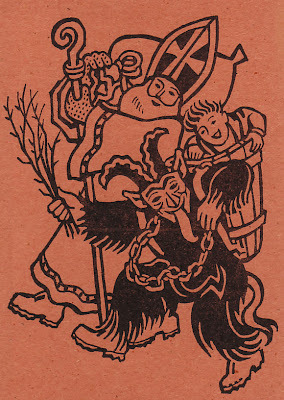 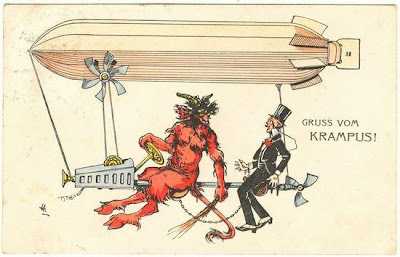 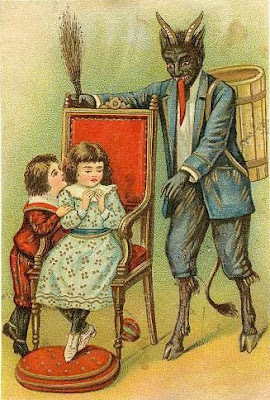 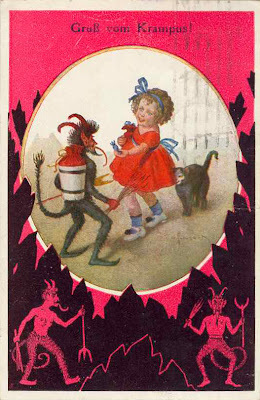 Similar to the Halloween cards I posted awhile back there seems to be no end to the variety of bizarre scenes of Krampus in these old postcards. 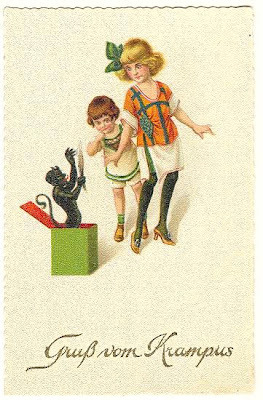 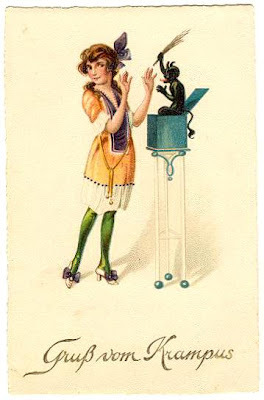 I've posted some of the more interesting ones that I've found but there are many more on display and for sale at Old Postcards.com, Ruby Lane, and of course Ebay. 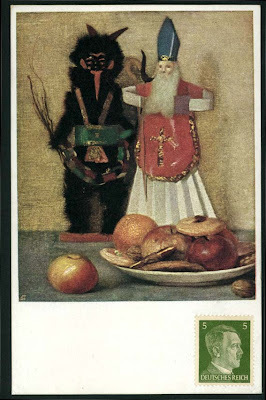 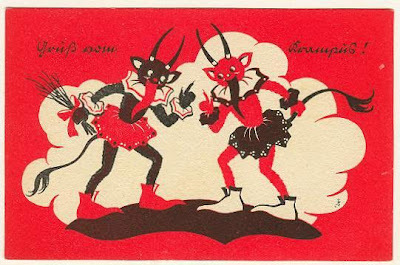 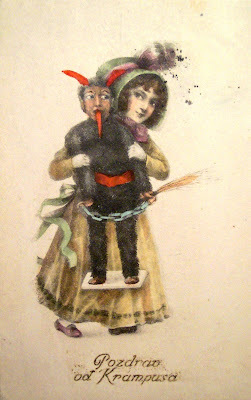 Check out this really bizarre animated contraption of two Krampus figures dancing attached to a painting. 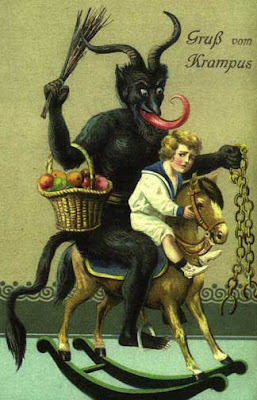 There's a short animated video of it here. 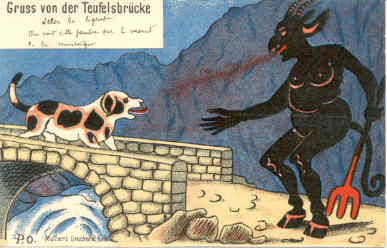 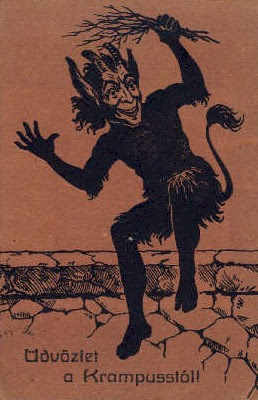 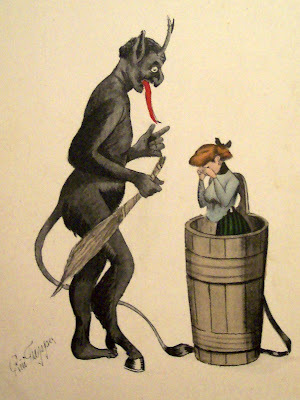 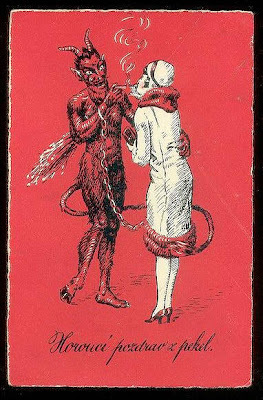 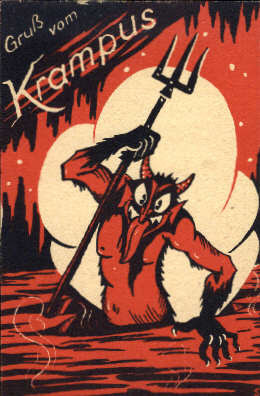 And this is still the tip of the demonic iceberg, there are many more postcards that I'll be posting in the following days, many of which can be found in Monte Beauchamp's amazing "The Devil In Design" book which includes 147 vintage images of Krampus. 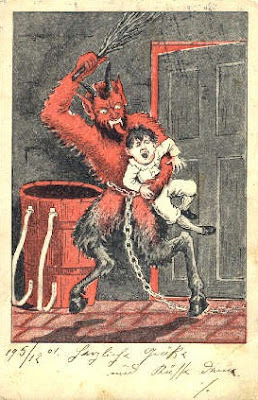 If you dig Krampus, you gotta get this book.